Ford created an engaging activation for the 2018 Super Bowl in Minneapolis, called the Built Ford Tough Sleigh Ride. 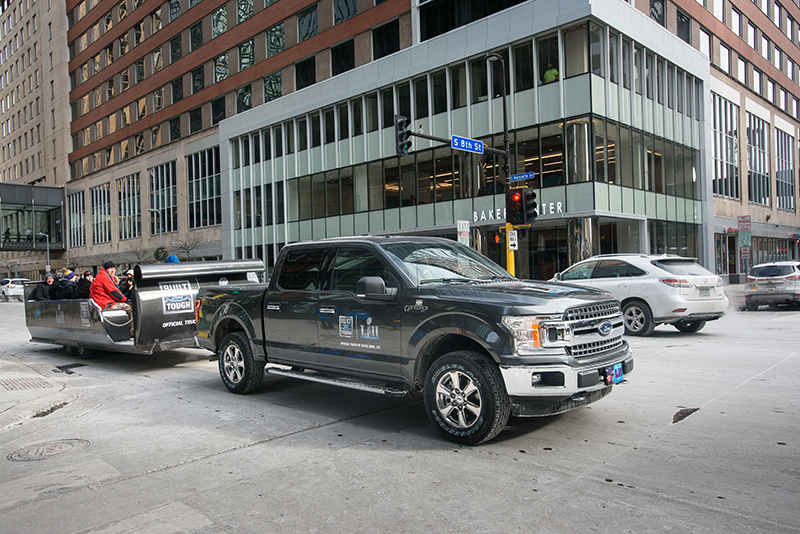 Taking advantage of Minnesota's cold winter weather, Ford created a star-studded "sleigh ride" activation to show off the towing capabilities of their leading truck series. 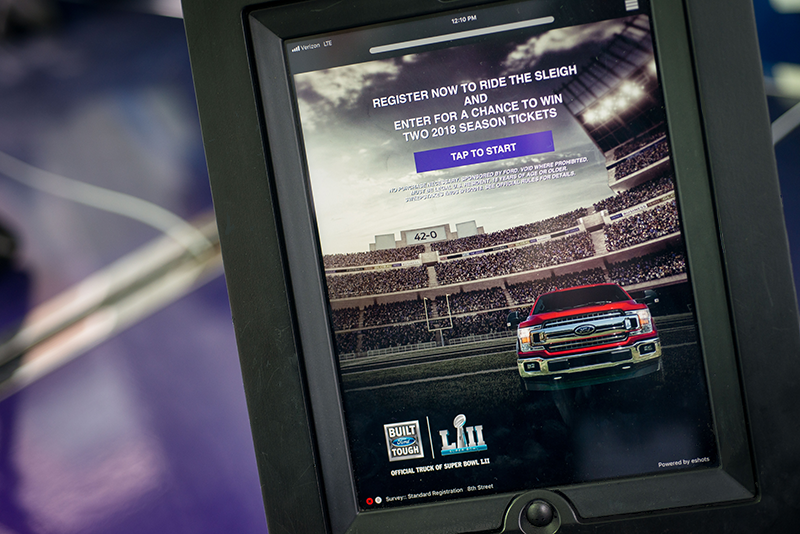 This included a photo activation with current and former NFL stars as well as a sweepstakes offering consumers the chance to win season tickets to their team's games for the 2018-2019 NFL season. 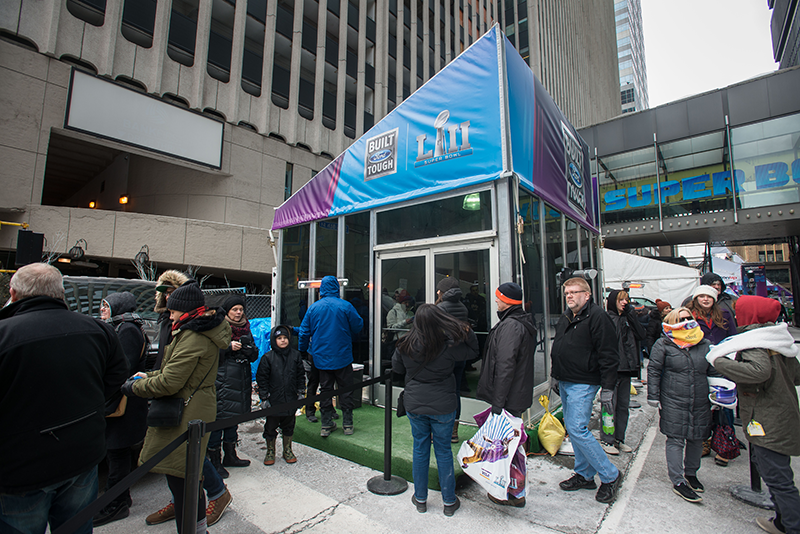 This activation gave consumers an opportunity to register with Ford at multiple checkpoints at Super Bowl LIVE in downtown Minneapolis. Upon arrival consumers registered via iPad using eshots' leading QuickCapture application. After registering, fans then had the opportunity to ride a sleigh through the city, which was pulled by Ford Trucks, the Official Truck of the NFL and Super Bowl LII. 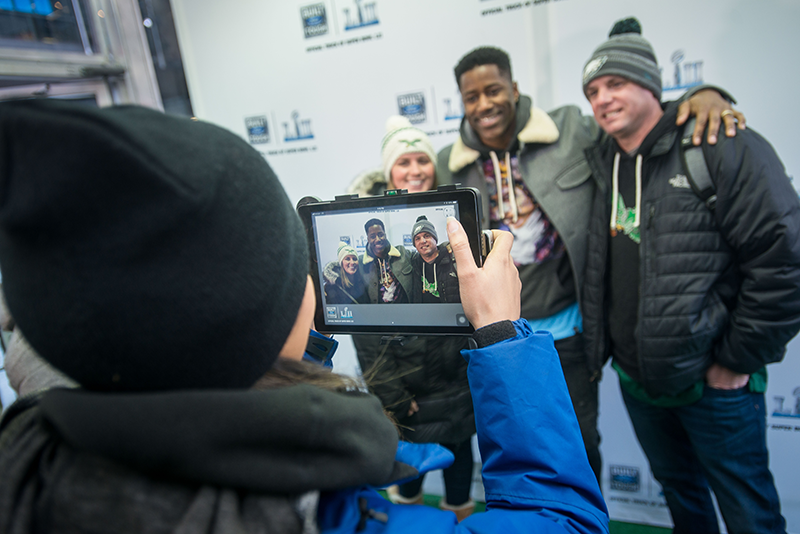 In addition to sleigh rides, Ford also brought fans special appearances by allowing fans to take pictures with current and former NFL players via eshots Snapshot photo application. These photos were branded with both Ford Trucks and Super Bowl LII graphics and created an exciting, shareable photo for consumers. After taking the photo, consumers instantly received a Rapid Response email with their photo, which they could then share with friends and family by any means they choose. 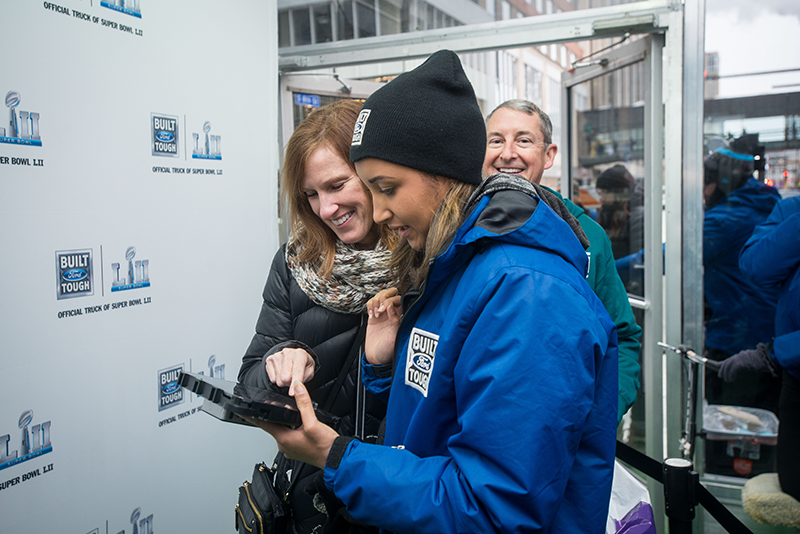 This activation brought together technology, football and passionate NFL fans to create a memorable and fun activation that drove awareness for Ford Trucks.